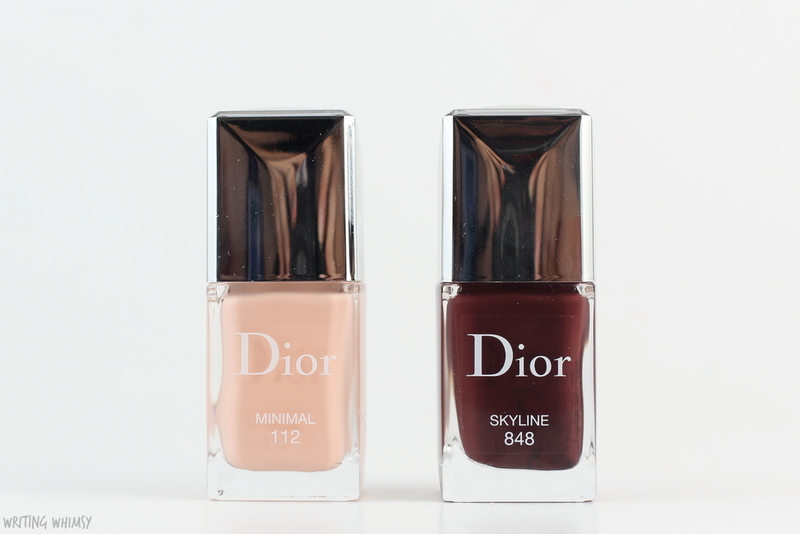 Life has gotten in the way of blogging lately but I still have a few more pieces of the stunning Dior Fall 2016 Skyline Collection that I can’t wait to share with you, starting with the Dior Vernis in Minimal and Skyline. These two polishes come in the classic sleek Dior bottles with a silver cap that can be removed to make the brush easy to hold. The brush itself is flawless, I really find it perfect for getting an even application. 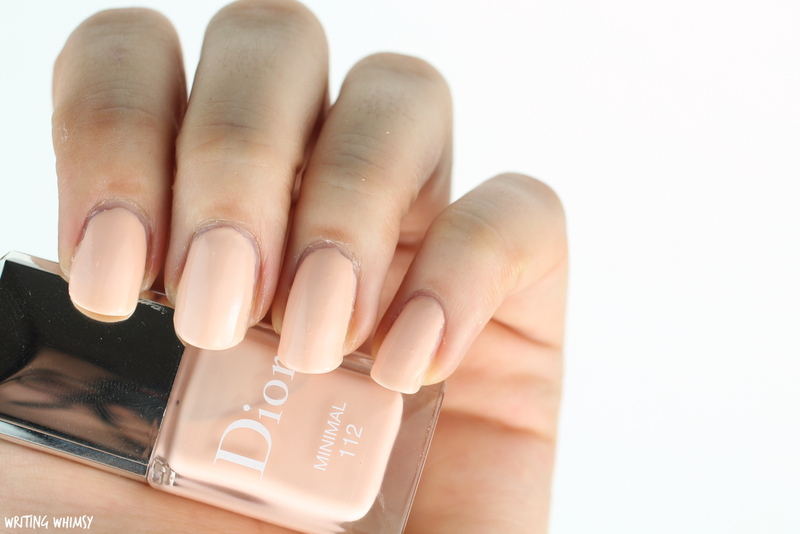 Dior Vernis in Minimal is a very pale white-based peach creme polish. I was really impressed by the formula because usually pastels like this are very streaky, but this one was perfect with opaque, even coverage in two coats. 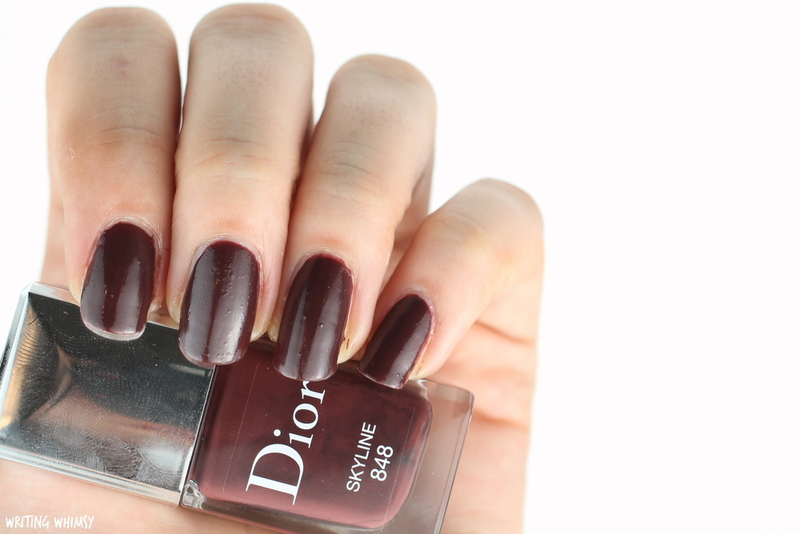 Dior Vernis in Skyline is a reddish dark chocolate brown creme. This is definitely a shade that screams fall to me, and it also has a perfect formula that’s nearly opaque in one coat, although I still used two. Whether you’re looking to go vampy or pastel on the nails for fall, the Dior Fall 2016 Skyline Collection has you covered! Would you wear either of these shades? Let me know what you think!